White wood blinds are an excellent colour choice for all interiors. In terms of a timeless, fashionable and an all-round go to show stopper, white wood blinds are impossible not to love. White wood blinds have the ability to lift the mood of any room and the tilt mechanism means you’re in complete control of the light coming in too. Not only that they’re durable and easy to clean with a dry microfiber cloth. These blinds are a beautiful addition to any home. Although this range is the smallest of our Wood Blinds Collections it definitely packs a punch with its fashion focus. 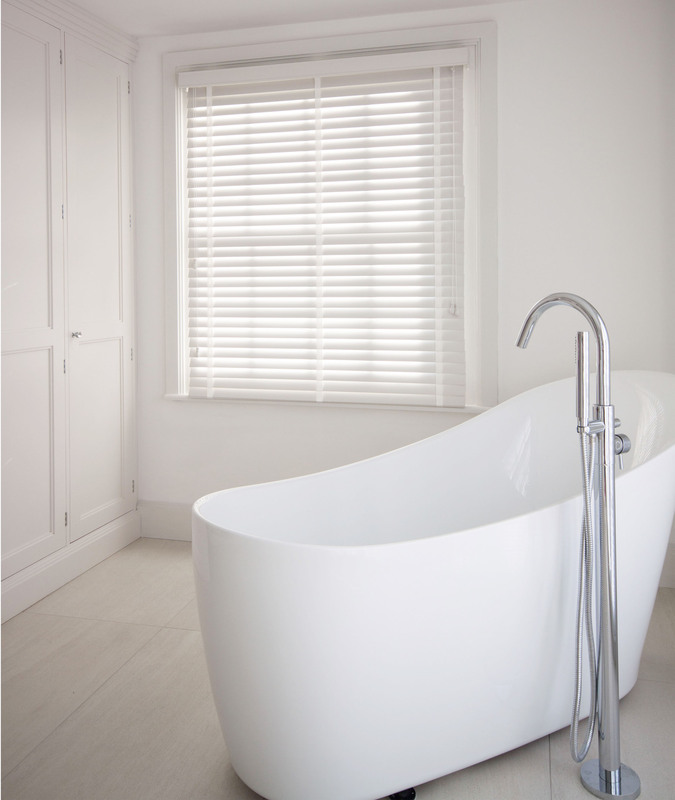 The white wood blinds slat options in colourways cotton and frost are a favoured choice for high moisture room such as kitchens and bathrooms as the fauxwood composition ensures their increased water resistance! 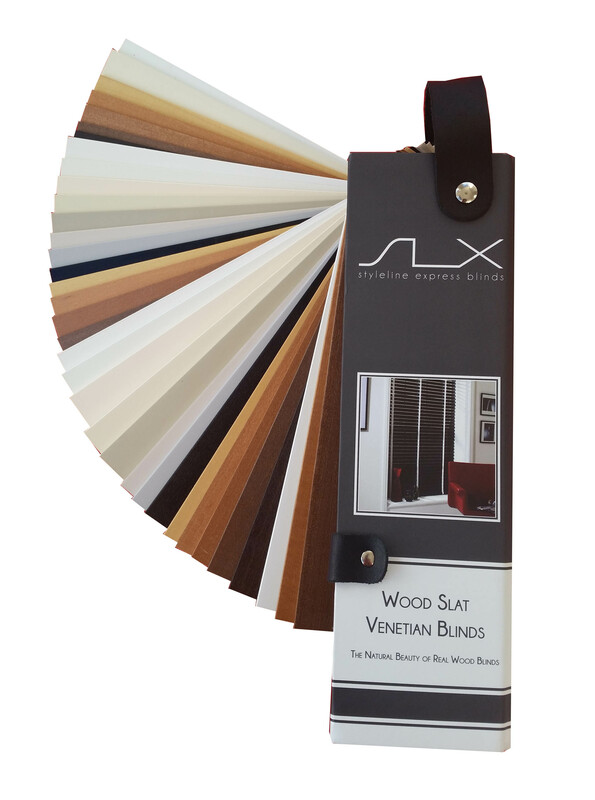 A popular SLX range of smooth timber slats, these are complimented by a natural or fashion focused painted finish. There’s a total of 13 colourways in the complete basswood collection and a selection of tapes to choose from too. A matching tapes looks fresh but a contrasting tape looks just a good. Our SLX bespoke range are our most inspiring collection with a vast spectrum of whites to choose from. This collection will allow you to truly customise your window design ensuring its tailor made just for you. Showcasing an array of European Basswood, European Oakand Abachi Wood, with alternating paint, colour and distressed finishes – you’re guaranteed to find the perfect design. The Iconic Custom Made Wood Blinds ensures excellence, the highest standards and a level of quality like no other. And yes, they’re all different! Wood blinds are a beautifully tactile and a rare natural feature in any room. Check out our blog on the beauty of wood blinds to find out more on their durability and lighting benefits. If you’re all set on SLX wood blinds all that’s left to do is find you nearest SLX Wood Blinds Retailer today!